The Texas Real Estate Commission (TREC) requires all real estate licensees to provide information to any and all prospective buyers, tenants, sellers, and landlords of real estate in the State of Texas regarding brokerage services. You will be provided with the full disclosure by our agents prior to your working with them. While it may be tough to overcome the emotional attachment you have to certain features of your home, try to take a step back and view things objectively. The first step is to walk around the exterior of the house and write down anything you see that could be improved. Then do the same with the interior. Next, calculate how much time and money will be necessary to make your home look its best. Put extra furniture and knickknacks into storage, opening up space inside the house. It is also a good idea to store personal items and photographs. One thing you want to avoid is wasting money on improvements that will not bring a return on your investment. (delete 2nd sentence & keep the rest) Some of the best places to focus on are kitchens and bathrooms, and the exterior of the house. 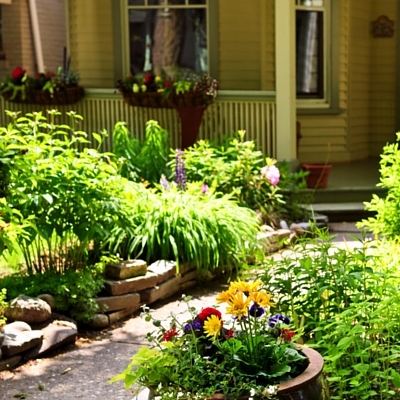 If a property has good curb appeal, more buyers will want to see it. If you don’t want to spend your own time or money making repairs, you may want to consider a slightly lower sales price. You can also offer an allowance to the buyers so they can do the renovations once they own the home. We would be happy to assist you in determining what repairs and renovations would be most beneficial. Call us at (512)420-9997, or email info@AustinHomesTexas.com. Determining a realistic asking price for your property is probably the most critical element in a home sale. A common mistake is overpricing a home, which will only help your neighbors sell their homes faster. The longer your property stays on the market, the more likely buyers are to question its value or assume something is wrong with the house. To avoid this pitfall we will prepare a market analysis, which is basically a comparative approach to pricing. A market analysis includes properties in your area which are similar to your own and are either on the market currently or have recently sold. Factors that influence pricing would be location, condition and price of the other homes on the market, as well as the number of homes currently for sale. We will sit down with you and go over the market analysis in detail, and answer any questions you may have. Proper (not higher) pricing will bring the highest price in the shortest period of time. Comparing your home to others in the market is how buyers determine the value of your home. Spending too much on repairs and improvements rarely translates into a higher priced property. Overpriced homes are rarely shown. With a constant supply of new listings coming on the market, agents and buyers alike will often forget about a property that has been on the market a long time. This eventually brings an even lower price than the seller was expecting to “negotiate down to”. Before listing your home for sale, we will provide you with an A to Z marketing plan. We will recommend repairs or cosmetic work that will make the property more desirable to buyers. We will talk to you about adding your property to the MLS (Multiple Listing Service), which exposes it to a network of local agents and buyers. We will write and publish ads, and place a “FOR SALE” sign in the yard. 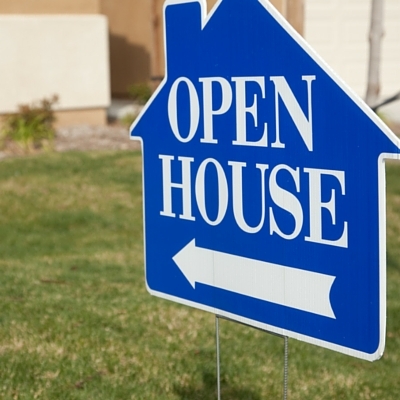 We will also talk with you about the possibility of an open house, and will provide a timeline of what you can expect during the marketing of your home. There are several ways to make your home more attractive to potential buyers when they come for a viewing. Keeping the lawn freshly mowed, cleaning windows, and tightening door handles and drawer pulls might seem insignificant, but can make a surprising impact on potential buyers. We work with you to ensure buyers view your home in the best possible light by providing ideas and helpful hints. After all, first impressions are lasting impressions! Before we bring a buyer into your home, we pre-qualify them to ensure their ability to purchase. We also determine whether their criteria is a match for your property. Therefore, only serious and qualified buyers will be viewing your home. 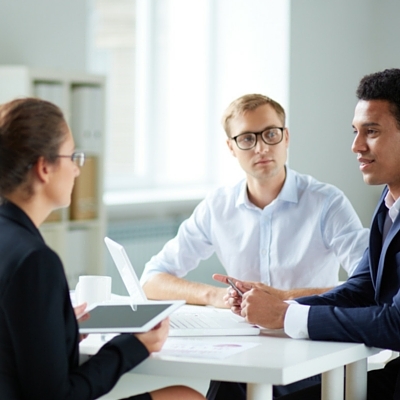 In addition to the qualifying questions we ask, our agents will recommend that the potential buyer have a pre-approval letter from a lender prior to actually viewing homes. This way, once a buyer makes an offer, you can rest assured that they will be able to follow through with the transaction. Once you have accepted an offer, we will be in contact with the buyer’s lender to make sure everything is progressing correctly and efficiently. We will promptly handle any obstacles that may arise. We’ve just received an offer! So, what happens next? Once we have received an offer, we will meet to talk it through. Among the items we will talk about are the price and terms, and any specific clauses or requests the buyer has included. We will review what your net proceeds would be and make sure any questions you have are answered thoroughly. 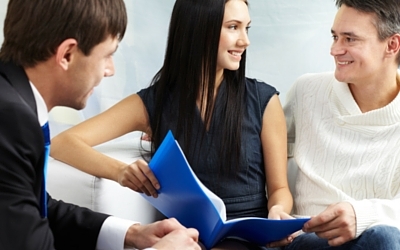 Most serious buyers will put down an “Earnest Money Deposit” with their offer. This means that they are showing their “earnest” interest in purchasing your property. If you are happy with the offer as it is presented, you can accept it. If you are not satisfied with the price or any of the terms you have the option of making a counteroffer or rejecting the offer altogether. We will explain all of your options so that you can make the best possible decision, and we will negotiate on your behalf for the outcome you desire. Selling your home is a big decision, and you want someone dedicated to working hard on your behalf. Someone who understands the entire process from A to Z and has the expertise to negotiate the best deal for you. 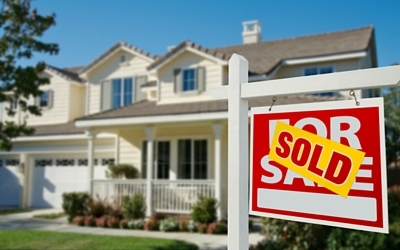 Our agents are educated on market conditions and understand buyers’ reactions to them. Their objective is to get you the best price and most attractive terms for the sale of your home. They are proficient in handling all of the detailed paperwork involved in the transaction, and will walk you through each step from start to finish. No task is too large or too small for your agent! The closing is the final step of the entire process. 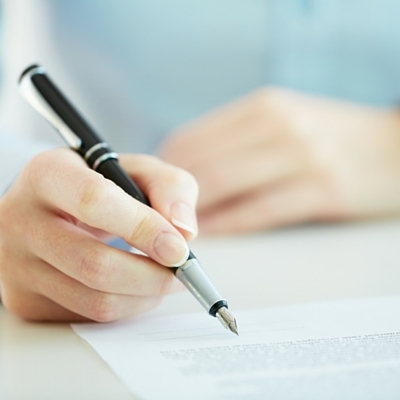 This is when you and the buyer sign the documents transferring ownership. Typically the closing takes place at the title company’s office, and your agent will be there with you for any last-minute questions… and moral support! This is when you sign the deed over to the buyer and the sale becomes official. 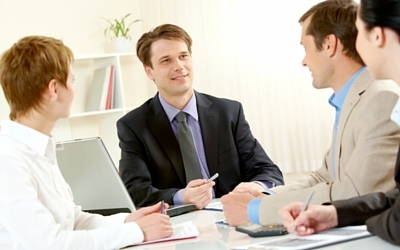 You have the option of hiring an attorney to advise you throughout the sales process. Should you choose to do this, the attorney may also attend the closing at your request. Once the paperwork has been completed you will hand over the keys and the title company will present you with a check. Congratulations on your sale!